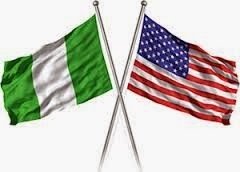 Following a brutal attack on Karamga Island of Lake Chad, the United States Department of State has said it will help West Africa in degrading and destroying Boko Haram insurgents. In a statement released by the State Department which was obtained by TheCable, US condemned Boko Haram barbaric attacks on human life in the region. “We condemn the attacks by Boko Haram insurgents on Karamga Island in Lake Chad, which killed 48 Nigerien security forces and wounded another 37, with others still missing. “We offer our condolences to the government and people of Niger and to the families and loved ones of those who lost their lives and who are missing. “We condemn the violent actions of Boko Haram sect and its continued disregard for human life. Boko Haram insurgents have perpetrated countless unprovoked attacks on men, women, and children in their homes, schools, places of worship, and businesses. Their brutality and barbarism know no bounds,” the statement said. The statement, which was released by Jeff Rathke, the acting deputy department spokesperson, reiterated the country’s commitment to destroying Boko Haram members. Many countries around the world have also pledged to support West Africa in halting the growing force of terror and insurgency in the region.